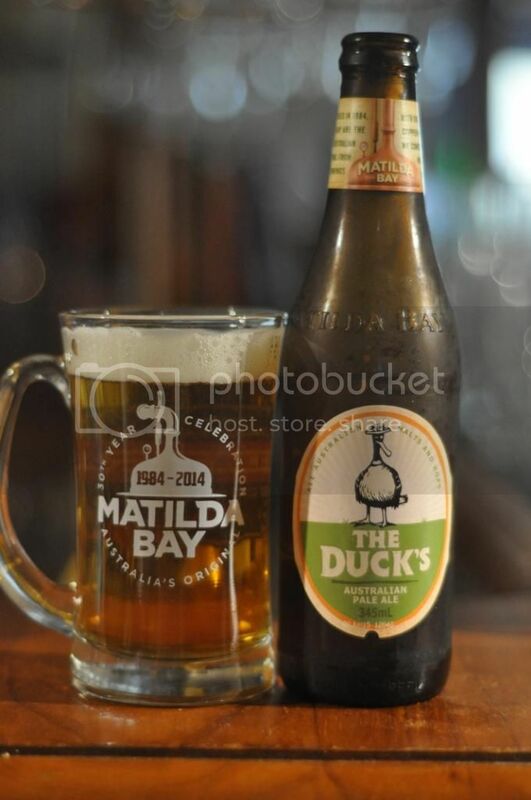 Following the sad news that CUB intend to close the Port Melbourne, Matilda Bar brewery and bar in March next year (don't worry, their beers will continue to be made at Cascade) I though it would be fitting to review their new summer offering; The Duck's. It's been termed an Australian Pale Ale by Matilda Bay and although not a recognised style it has connotations to the educated beer drinker. Australian Pale Ale's are basically less intense American Pale Ale's. 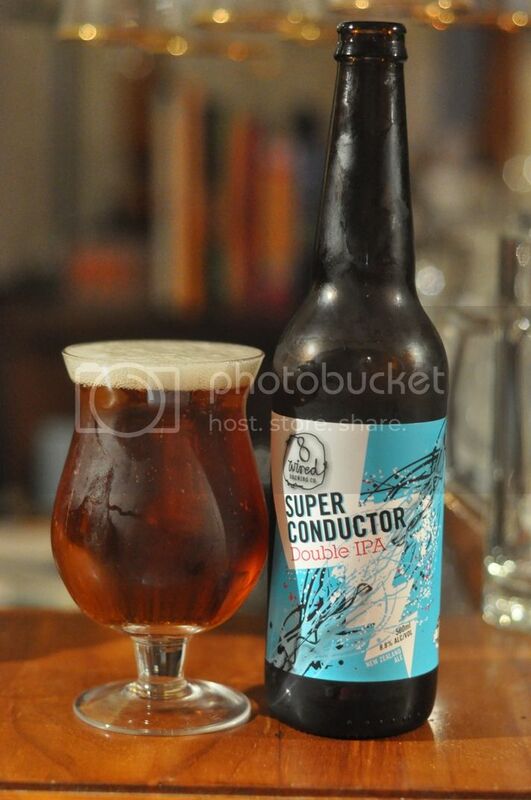 They utilize Australian hops and are lower in bitterness and alcohol - basically they are perfect for our hot summers days. The best known example of this would be style is Stone & Wood's Pacific Ale. The Duck's pours a very clear golden colour. This golden beer has a number of tiny rising to the white head. The head is relatively short lived with a number of quite large bubbles beginning to form shortly after pouring. In fairness to the head retention there is a ring of foam retained, albeit thin, for the duration of drinking. The appearance does give the appearance of a cheap pale ale. Despite the smell it's actually not an awful tasting beer. As expected the malt base is quite sweet, although not too much so, and the hops are restrained. There is enough flavour coming from the hops for it to be palatable. Citrus is definitely the most dominant flavour while there is also some tropical fruit flavours, in particular melon. The body of the beer is a little thin and the finish is quite nice and dry. Look, this beer is what it is - remember it is a CUB product. While not huge on flavour it is quite sessionable and can easily see myself and a few of the boys smashing through a slab of these on a really hot day. Just keep it cold and in the bottle and there is nothing too unpleasant about it. It's certainly one I'd recommend to people who aren't into the hoppier pale ales, it could perhaps be a stepping stone beer.